Cullen, Lynn. (2011). Reign of Madness. G.P. Putnam’s Sons; New York. I have a very great weakness for historical fiction, though I am not as enamored with the stories of the great kings and queens from the past as I am of the lesser-known figures*. 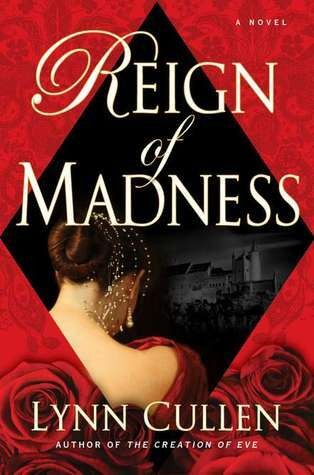 For those with a decided interest in the kings and queens of the past, Lynn’s Reign of Madness will provide an excellent story full of the romance, luster, and intrigue of the Spanish and Habsburg courts. Juana de Castile, who eventually ends up inheriting the throne from Queen Isabella and King Ferdinand of Spain, is known to history as Juana the Mad because of her questionable mental state during her rule (Lynn Cullen, 2014). Lynn’s writing suggests that constant betrayal in the life of the court put Juana into countless situations from which she could not extricate herself (Lynn Cullen, 2014). Juana was thus painted with a negative brush by her subjects and by history during a time of significant upheaval and change in Spain (Lynn Cullen, 2014). I went into this novel not knowing the story of Juana. As a result, I did not sympathize overly much with her character; I saw none of Queen Isabella’s powerful character influence her daughter, and Juana even passively accepted her mother’s death while under the control of her abusive husband, Philippe the Handsome (Lynn Cullen, 2014). The end of the book left me feeling that Juana would be forever waiting for someone else to change things for her. While this is probably a historically accurate depiction,deftly handled in Lynn’s excellent writing style, it left me with a negative impression of Juana as a person and a ruler. I hope to see many more books from Lynn Cullen into the future, and I’m also going to make my way to the library to pick up Lynn’s other story, The Creation of Eve. This story sounds like just my flavor; a slightly lesser-known ‘bystander’ figure in history who offers up a fascinating tale regardless. * For those interested in lesser-known figures in history, Philippa Gregory‘s well-known story The Other Boleyn Girl provides the tale of Mary Boleyn, a 16th-century aristocrat about whom little is known (Wikipedia article). I recall this tale with fondness as one of my first novels of enjoyable, semi-accurate historical fiction.